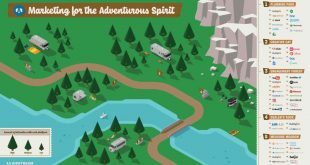 Of the growing set of new themes in the exceptional content at this year’s MarTech San Francisco conference, one stood out in particular: conversational interfaces. Conversational interfaces, or virtual assistants, are growing in popularity and use by marketers. 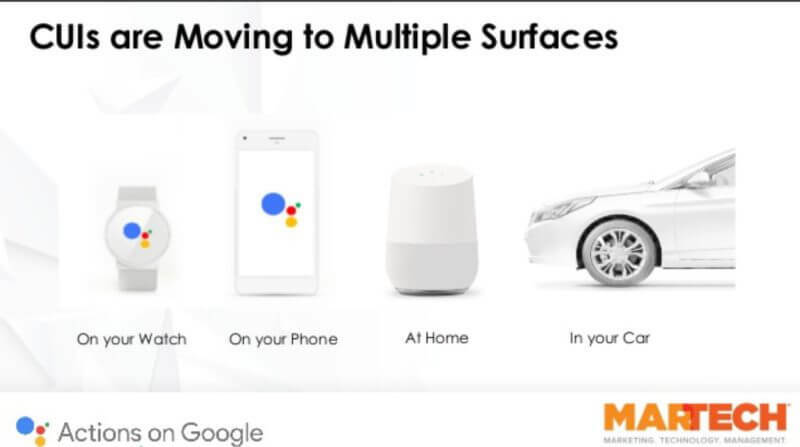 Nick Pandolfi of Google’s Product Partnerships team closed out the Experience Track at MarTech SF 2017 with a 20-minute TED-style talk on the “next new wave” of interfaces: conversational agents. 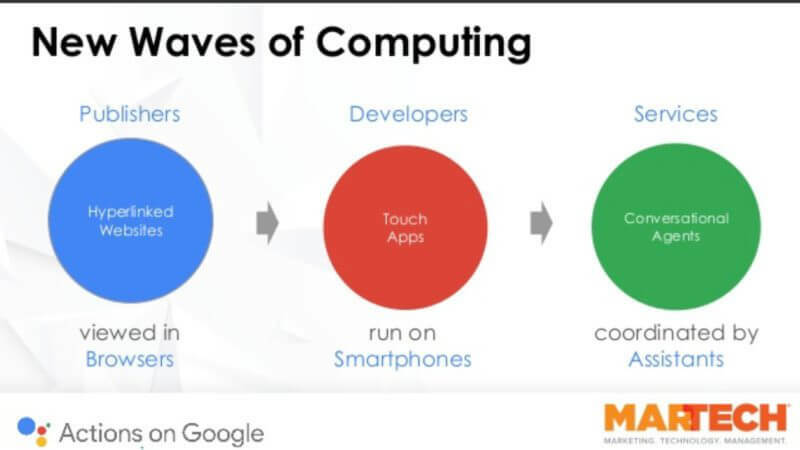 Here is my digest of Pandolfi’s enlightening presentation, which includes Google’s view on this emerging topic, as well as five tips on designing for the conversational interface. In the continuing evolution of the digital frames we interact with, the next new wave of computing, Pandolfi suggested, is conversational agents. Beginning with websites created by publishers, we’ve seen developers make the progression from the browser to touch apps on mobile devices. Conversational agents — in essence, services — enabled by virtual assistants are the next means of interaction with computers. 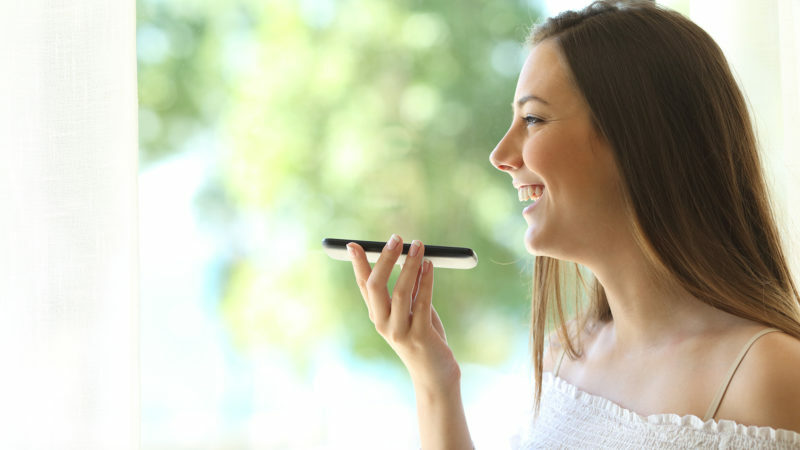 We are all now familiar with voice recognition and its growing accuracy, efficacy and utility. Apple’s Siri, Amazon’s Alexa and the Google Assistant are CUIs that are becoming ubiquitous. This now taken-for-granted technology has been rapidly enabled and enhanced by machine learning and artificial intelligence (AI) for speech recognition and improved text-to-voice quality. In addition to the smartphone, tablet, desktop/laptop and in-home devices, CUIs are now appearing in watches and in cars. To support growth and proliferation across multiple media, companies including Google are providing SDKs (software development kits) for engineers to develop virtual assistants for deployment on multiple devices. The idea is to build an experience once and publish on multiple platforms. The tools to build and deploy CUIs already exist within a growing ecosystem. Actions on Google is the company’s platform for developers to use to build CUIs for the Google Assistant. 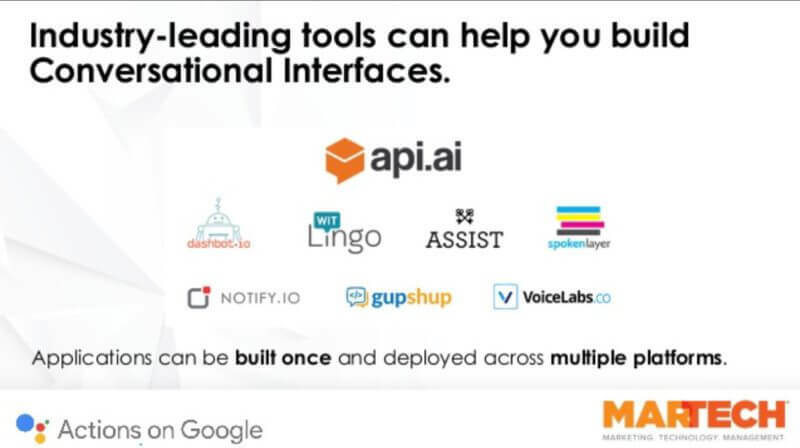 Pandolfi talked about API.AI as a core tool for CUI creation, and specifically noted that there is growing support for creating CUIs within graphic UI-based tools like API.AI and Gupshup — i.e., no code required. Again, Pandolfi reiterated, the hard part is in the design, not the development. Accordingly, he provided some of his suggestions for getting started with CUIs from a design perspective. Start small. Rather than attempting to take your entire set of customer touch points into CUI-land, start with something small — perhaps one component, and/or something with a short length of engagement. Pandolfi cited Progressive Insurance as an example of a firm that’s deployed CUI in a tight, specific manner. Jeff Eckman has a passion for applying simplicity to complex problems and creating relationships between people and technology that generate novel value. He earned his BS in Operations Technology at Northeastern University and holds an MBA from the MIT Sloan School of Management. For the past two decades, Jeff has been an active member of Boston’s music community and is the drummer for Pressure Cooker, an original reggae act.